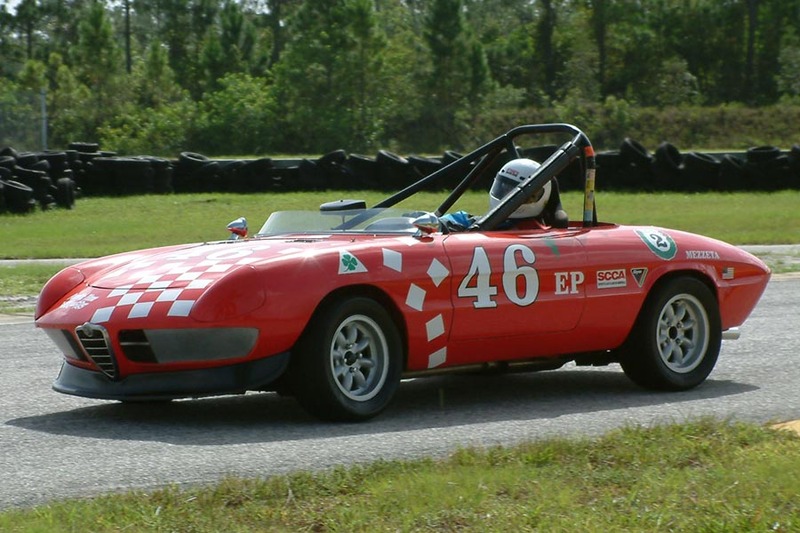 This 1967 Duetto race car belongs to SFAROC Member Jonathan Eismann. 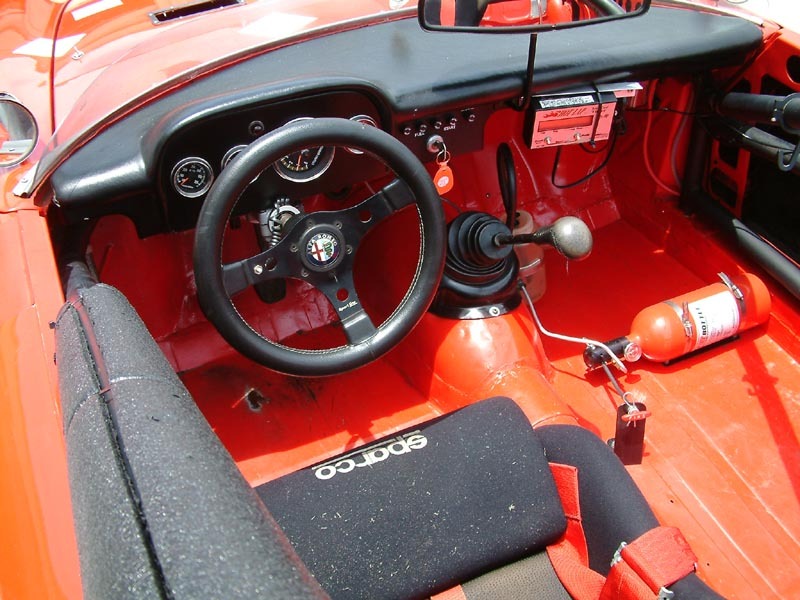 In this page you will find some pics and some historical and technical data about this car. Above: the cockpit is all business. 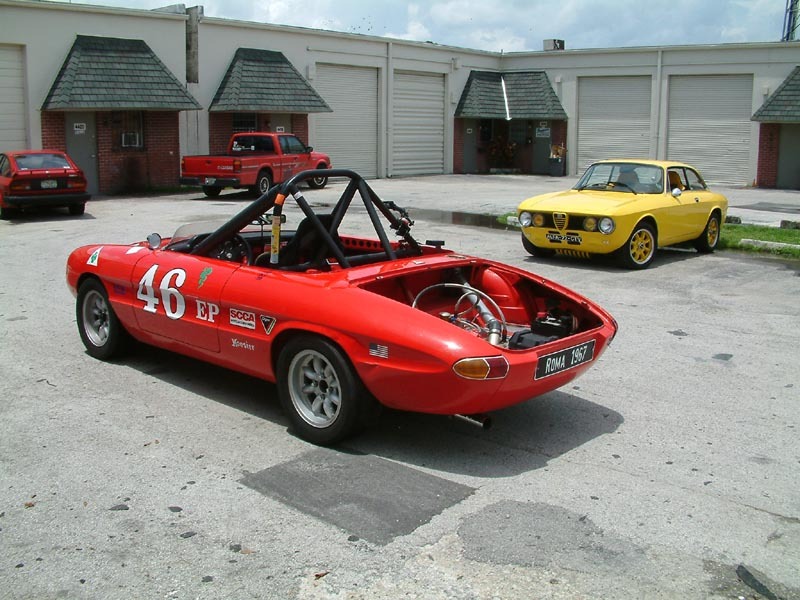 Original built by Gary Valant of Plano, Texas. 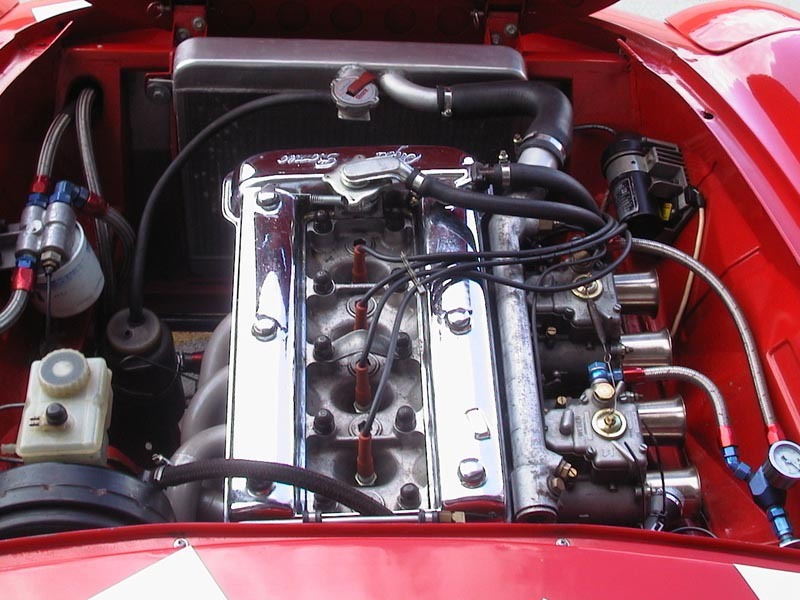 This is the actual car featured in the Alfa Restoration Guide. The car was very successfully campaigned by Gary, and his son, throughout the southwest. 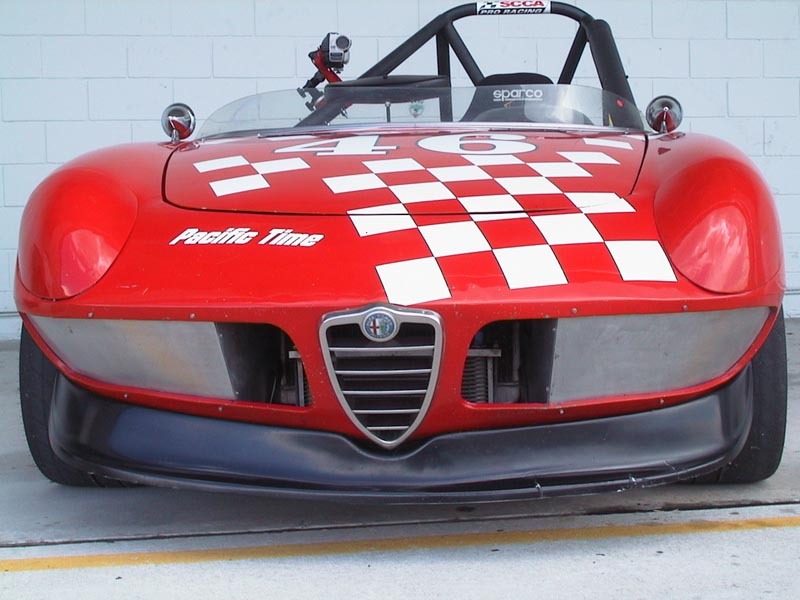 The car was completely disassembled, rebuilt and raced by Frank Sible in Chicago with the help of Mike Besic, Jack Beck and Jason Arigo. Above, Jonathan in action at the AROC Time Trials in July 2003. Jonathan's business (the restaurant Pacific Times) kindly co-sponsored the AROC convention.